Home owners feel good about their native gardens, now they can feel good about their more environmental native lawn that is better suited to Australian conditions. In commercial circles, imagine the good will created by a golf course or a council park using a native turf instead of an exotic grass. Nara native turf will help developments get through council much easier, as now the whole landscape can be local and native. 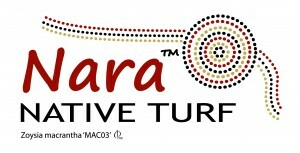 Nara is a low maintenance grass that is naturally very drought tolerant. These characteristics are common with native Australian turf and plants. Nara is generally a coastal grass but has been proven to work well many hundreds of kilometres inland. Common Zoysia macrantha is very salt tolerant, so it is no surprise that Nara has this characteristic as well. Although this is true, Nara grows better in fresh water. In tests, Nara had much more salt tolerance than Empire, which is known for its excellent salt tolerance in comparison to other grasses. When compared to common Zoysia macrantha, Nara had salt tolerance at the mid to lower end of the species. It cannot handle growing in sea water. However,growing close to the beach or on waterfront properties is not a problem. Nara prefers to be installed when the weather is not too cold. It is best to avoid laying Nara Native turf in the following months in certain regions. Tasmania, Victoria, SA, WA avoid laying from 25th of April to 31st of August. Sydney avoid laying from the 15th of May to the 15th of August. Brisbane and north Nara can be laid at any time of the year. This is the same for all Zoysia types. In early Spring or Autumn it may take a week longer than other turf types to establish, but what’s a week compared to a lifetime of low maintenance? Based on research and observations, Nara will need about 20% less mowing than Buffalo, 35% less than Couch and 55% less than KIKUYU. 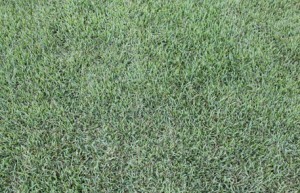 It is faster growing than Empire Zoysia. It requires only two slow release fertiliser applications per year to prosper. Nara is a Zoysia macrantha, which is only found in Australia. Overseas Zoysia types such as Empire (a japonica type) also require less fertilising. So less fertilising is common to most Zoysia types around the world. If they are subject to a lot of wear three times a year fertilising is recommended on all Zoysia. Extra fertiliser makes Nara grow faster. Nara can be mown exactly how you would mow Couch, KIKUYU or Buffalo. Short, medium or long. In general, however, it is better to not mow too short as it stresses all lawns, especially in drought. Shade. Buffalo works in 60-70% shade. Nara works in 30-45% shade. Couch and KIKUYU only work in 15-20% shade. Nara is beautiful. It is a fine textured lawn, but scalps less than Couch when mown. People choose it over Couch, KIKUYU and Buffalo on looks alone. Also Nara requires less garden edging than Buffalo, Couch and KIKUYU, making it less invasive for the garden. Nara is better than Couch and many Buffalo types at keeping winter colour. It does brown off quicker than Palmetto, Sapphire and KIKUYU which are well known for their excellent winter colour. In Western Sydney at Richmond this year it was dormant for about 7 weeks over winter. So sure there a few grasses that have better winter colour, but compared to many, Nara is better. It has better wear tolerance than Buffalo in full sun. It has better wear tolerance than Couch and KIKUYU, although Couch and KIKUYU recover better from wear as they grow faster. In semi shade Nara has better wear tolerance than Couch and KIKUYU. Less need to worry about future water restrictions. As Nara has vigorous deep rhizomes, it is far more drought tolerant than non rhizome grasses such as Buffalo. Buffalo will hold its colour in drought a few days longer than Nara, but will die much quicker in a hot prolonged dry spell. Nara goes dormant in severe drought to survive. Nara has developed extreme drought tolerance from its parentage. Millions of years growing in Australia’s hot dry and hot humid climates has made it a real drought survivor. It is native to Australia, from northern Queensland all the way down to Tasmania, to the centre of Australia and Adelaide. 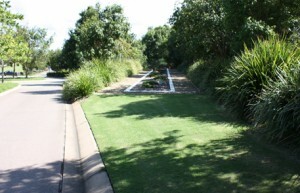 Zoysia macrantha is well suited to most parts including Perth, where it has performed very well, making it ideal for your local Australian lawn. We are currently releasing it in the USA as well. It performs very well there and is admired for its beauty. Nara is well adapted for all parts of Australia, except maybe the Alpine regions, although it can handle down to -12° Celsius in USA tests, which is colder than Canberra. Nara rarely gets disease and copes very well with humid and dry climates. In colder areas and in wet winters, like many grasses, it can occasionally develop signs of rust, but this is generally hidden amongst the leaves of a mature lawn. Nara hides rust much better than many other types, so it is a safer choice. Nara copes well with our bugs and insects, probably because it built up immunity over the millions of years of development as a native species of Australia. A few introduced pest species and the odd native one may cause problems occasionally. Nara seems to be far more resistant to black beetle, army worm, and web worm than Couch, KIKUYU and Buffalo. 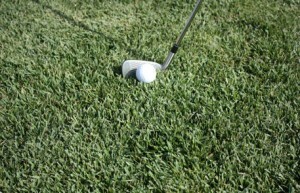 All Zoysia types seem to be. But resistant does not mean immune, so it can sometimes get munched on. Again,because it has rhizomes, it will re-grow better than Buffalo.